Every agency of the federal government is responsible for pursuing its own mission and mandates in a manner that is also in accordance with the National Historic Preservation Act. In particular, Section 110 of the Act calls on all federal agencies to establish--in conjunction with the Secretary of the Interior--their own historic preservation programs for the identification, evaluation, and protection of historic properties. These individual agency programs vary greatly in scope, depending in large measure on the degree to which the agency owns, controls, or affects historic properties. The Federal Agency Preservation Assistance Program carries out a number of activities on behalf of the Secretary of the Interior to assist Federal agencies in meeting their historic preservation responsibilities pursuant to Section 110 of the Act. These activities are carried out in accordance with the Secretary's own specific responsibilities under the Act for assisting other federal agencies. 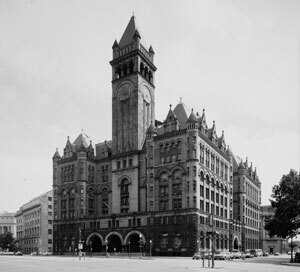 Section 110 of the National Historic Preservation Act (hereinafter referred to as NHPA or the Act) sets out the broad historic preservation responsibilities of Federal agencies and is intended to ensure that historic preservation is fully integrated into the ongoing programs of all Federal agencies. This intent was first put forth in the preamble to the National Historic Preservation Act upon its initial adoption in 1966. When the Act was amended in 1980, section 110 was added to expand and make more explicit the statute's statement of Federal agency responsibility for identifying and protecting historic properties and avoiding unnecessary damage to them. Section 110 also charges each Federal agency with the affirmative responsibility for considering projects and programs that further the purposes of the NHPA, and it declares that the costs of preservation activities are eligible project costs in all undertakings conducted or assisted by a Federal agency. (e) an agency may not grant assistance or a license or permit to an applicant who damages or destroys historic property with the intent of avoiding the requirements of section 106, unless specific circumstances warrant such assistance. The complete text of section 110 is included as Appendix A to these Guidelines. Also included as Appendix B are sections 1 and 2 of the NHPA that set out the purposes and policies of that Act. Anyone unfamiliar with the purposes of the Act or with the specific provisions of section 110 as amended in 1992 should refer to those texts in addition to the revised Guidelines. The Section 110 Guidelines were first published in the Federal Register on February 17, 1988 (53 FR 4727-46). This second edition has been revised to incorporate the 1992 amendments to the Act and to make the Guidelines easier to use. These Guidelines neither replace nor incorporate other statutory authorities, regulations, or The Secretary of the Interior's Standards and Guidelines for Archeology and Historic Preservation. These Guidelines show how Federal agencies should address these various other requirements and guidelines in carrying out their responsibilities under the Act. The head of each Federal agency, acting through its Preservation Officer, should become familiar with all the statutes, regulations, and guidelines that bear upon the agency historic preservation program required by section 110. This second edition of the Section 110 Guidelines follows a format significantly different from that of its predecessor. The first edition followed the sequence of the statute and provided detailed guidance for each subsection of section 110. The current edition instead takes the form of standards and guidelines that will assist each Federal agency in establishing a preservation program that meets the various requirements of section 110. The preservation and use of historic properties and their careful consideration in agency planning and decisionmaking are in the public interest, are consistent with the declaration of policy set forth in the NHPA, and must be a fundamental part of the mission of any Federal agency. These standards and guidelines are intended to assist Federal agency personnel and the agency head in carrying out their policies, programs, and projects in a manner consistent with the requirements and purposes of section 110 of the NHPA, related statutory authorities, and existing regulations and guidance. An agency should use these standards and guidelines, and consultation with the Secretary and others, to ensure that the basic individual components of a preservation program called for in section 110 are in place. The preservation program should also be fully integrated into both the general and specific operating procedures of the agency. The agency's preservation program should interact with the agency's management systems to ensure that historic preservation issues are considered in decisionmaking. The program should try to ensure that the agency's officials, employees, contractors, and other responsible parties have sufficient budgetary and personnel resources needed to identify, evaluate, nominate, manage, and use the historic properties under agency care or affected by agency actions. Section 110(a)(2) requires that agency preservation programs be established "in consultation with the Secretary." Federal agencies seeking such consultation should contact the Associate Director, Cultural Resource Stewardship and Partnerships, National Park Service, Department of the Interior, 1201 Eye St., NW, Washington, D.C. 20005. Consultation with the Secretary regarding an agency's program will be based upon the degree to which that program is consistent with the Act and with the standards and guidelines that follow. Upon request, the Secretary will also provide informal technical assistance to any agency on questions concerning the establishment or improvement of the agency's historic preservation program. Requests for technical assistance should also be addressed to the Associate Director, Cultural Resources Stewardship and Partnerships, National Park Service. Section 202(a)(6) of the Act provides that the Advisory Council may review Federal agency preservation programs and recommend improvements to such agencies. Where the Council carries out such a review, it will base any recommendations on its own regulations and policy statements, and on the standards and guidelines that follow. Standard 1. Each Federal agency establishes and maintains a historic preservation program that is coordinated by a qualified Preservation Officer, and that is consistent with and seeks to advance the purposes of the National Historic Preservation Act. The head of each Federal agency is responsible for the preservation of historic properties owned or controlled by the agency. [Sec. 110(a)(1), Sec. 110(a)(2), Sec. 110(c), and Sec. 110(d)]. Standard 3. An agency nominates historic properties under the agency's jurisdiction or control to the National Register of Historic Places. [Sec. 110(a)(2)(A)]. Standard 5. An agency consults with knowledgeable and concerned parties outside the agency about its historic preservation related activities. [Sec. 110(a)(2)(D)]. Standard 6. An agency manages and maintains historic properties under its jurisdiction or control in a manner that considers the preservation of their historic, architectural, archeological, and cultural values. [Sec. 110(a)(1), Sec. 110 (a)(2)(B), Sec. 110(b)]. Standard 7. An agency gives priority to the use of historic properties to carry out agency missions. [Sec. 110(a)(1)]. For a cross-reference of each standard to the parts of 110 see Appendix A. These guidelines have no regulatory effect. Instead, they are the Secretary's formal guidance to each Federal agency on meeting the requirements of section 110 of the Act. The following guidelines provide information on the steps an agency must take to establish and maintain a preservation program that meets each of the applicable Secretary's Standards. (b) An agency historic preservation program is embodied in agency-wide policies, procedures, and activities. An agency historic preservation program is the vehicle for ensuring that the agency's mission-driven activities are carried out in a manner consistent with the purposes of National Historic Preservation Act. The program is not an activity carried out separate and apart from the activities mandated by the agency mission. (2) Where an agency carries out its mission through the award of grant funds for specific activities, and where those activities will inevitably affect historic properties, the agency should, to the maximum extent feasible, design its programs to encourage grantees to retain and make appropriate use of historic properties in carrying out grant-funded activities. (3) Where an agency's historic preservation activities are limited to considering the impact of federally licensed, or permitted activities initiated by non-federal entities on non-federally owned historic properties, the agency's preservation responsibility may be more narrowly cast as seeking to avoid or minimize any adverse effects to such properties that might otherwise occur as a result of such activities. (d) An agency historic preservation program must be established in consultation with the Secretary of the Interior. [Sec. 110(a)(2)]. Consultation with the Secretary regarding an agency's historic preservation program will be based on these Standards and Guidelines. (e) The agency historic preservation program must be an effective and efficient vehicle through which the agency head can meet his or her statutory responsibilities for the preservation of historic properties. [Sec. 110(a)(2)]. Compliance with responsibilities pursuant to section 106 of the Act is an integral part of an agency's overall historic preservation program. That program, however, is not simply intended to meet agency section 106 responsibilities to "take into account" the effects of its undertakings on historic properties. The program described in section 110(a)(2) is an agency-wide approach to achieving the goals set forth in the NHPA. It should be fully integrated into both the general and specific operating procedures of the agency. (2) ensure that the historic preservation program itself is adequately funded to enable it to perform its functions. (4) agencies are in a position to influence actions affecting historic properties. (h) Agency funding decisions for historic preservation work should be based on a determination of the prudent level of investment for a specific undertaking. That determination, in turn, should acknowledge that preservation costs are eligible project costs on an equal footing with other planning, design, construction, environmental protection, and mitigation needs and requirements. Similarly, the cost of caring for, documenting, and otherwise preserving artifacts, records, and remains related to historic properties is an eligible project cost. [Sec. 110(g)]. The agency may contract with a State Historic Preservation Officer (SHPO), another Federal agency, or other public or private organization as appropriate to assist it in carrying out the agency's historic preservation work. (i) Where preservation activity is a condition of obtaining a Federal license or permit, or Federal approval, or is subject to a delegation of authority by a Federal agency, the recipient may be expected to incur reasonable costs. [Sec. 110(g)]. Because it is difficult to establish fair standards that would be applicable in all cases, "reasonable costs" should not be determined using inflexible criteria, such as a flat fee or a standard percentage of a budget, but rather should be determined on a case-by-case basis. (j) An efficient preservation program should allow the agency to do more than simply meet its section 110 and 106 responsibilities. In order to eliminate duplicative effort and assist in agency planning, the preservation program should be coordinated with actions the agency takes to meet the requirements of other relevant and related Federal statutes (e.g., NAGPRA, the Archaeological Resources Protection Act (ARPA), the American Indian Religious Freedom Act (AIRFA), and the National Environmental Policy Act (NEPA)) in a comprehensive, anticipatory manner. (k) The agency position responsible for coordinating the preservation program is the Preservation Officer required of all agencies by section 110(c) of the NHPA (unless specifically exempted under section 214 of the NHPA). A Preservation Officer may have other agency duties in addition to historic preservation coordination, depending on the magnitude and degree of the agency's historic preservation activities and responsibilities. [Sec. 110(c)]. (l) Agency officials designated as Preservation Officers should have substantial experience administering Federal historic preservation activities and/or specifically assigned staff under their supervision who have such experience. Section 112 of the NHPA requires that agency personnel or contractors responsible for historic resources, meet qualification standards established by the Office of Personnel Management in consultation with the Secretary. (m) Each Preservation Officer should have sufficient agency-wide authority, staff, and other resources to carry out section 110 responsibilities effectively. Agency administrative systems should ensure that the Preservation Officer can review and comment meaningfully on all agency programs and activities and interact with the agency's planning and project management systems in such a way as to influence decisions potentially affecting historic resources. The Preservation Officer should have sufficient authority and the agency should have sufficient control systems to ensure that decisions made pursuant to section 106 and section 110 about the treatment of such resources are in fact carried out. (n) In agencies where significant preservation responsibilities are delegated to regional or field offices, or Federal facilities or installations, the agency head should also appoint qualified preservation officials at those levels. Such officials should ensure that their actions and conduct of historic preservation activities are coordinated with, and consistent with, those of the central office Preservation Officer for that agency. (o) The agency should ensure that its personnel management system identifies those personnel with preservation responsibilities, includes such responsibilities in their position descriptions and performance elements and standards, and appropriately rewards high-quality performance. In addition, the agency should provide for ongoing training in historic preservation for all agency personnel with preservation responsibilities. Standard 2. An agency provides for the timely identification and evaluation of historic properties under agency jurisdiction or control and/or subject to effect by agency actions. [Sec. 110(a)(2)(A) and Sec. 112]. (a) Identification and evaluation of historic properties are critical steps in their long-term management, as well as in project-specific planning by Federal agencies. Normally, an agency must identify the full range of historic properties that may be affected by an agency program or activity, including, but not limited to, historic buildings and structures, archaeological sites, traditional cultural properties, designed and other cultural landscapes, historic linear features such as roads and trails, historic objects such as signs and street furniture, and historic districts comprising cohesive groups of such properties. [Sec. 110(a)(2)(A)]. Effective management of historic properties requires that they first be identified and evaluated. The level of identification needed can vary depending on the nature of the property or property type, the nature of the agency's management authority, and the nature of the agency's possible effects on the property. (c) Agency efforts to identify and evaluate historic properties should include early consultation with the State Historic Preservation Officer, or the Tribal Preservation Officer as appropriate, to ensure that such efforts benefit from and build effectively upon any relevant data already included in the State's or Tribe's inventory. For information on consulting with an Indian tribe that has assumed State Historic Preservation Officer functions pursuant to section 101(d)(2) of the Act, see Standard 6, Guideline 7(b). Agencies are encouraged to share with the appropriate SHPO and Tribal Preservation Officer, information about historic properties gathered through their identification and evaluation activities. (d) Where an agency is planning an action that is not aimed at specific land areas (for example, a nationwide program of assistance to local governments, farmers, or low-income homeowners), and the identification of specific historic properties subject to effect is not feasible, the agency should nevertheless consider what types of historic properties may be affected directly or indirectly, and consider strategies that will minimize adverse effect and maximize beneficial effect on those properties. Such consideration must be carried out in consultation with SHPOs, Tribal Preservation Officers, local governments, Indian tribes, Native Hawaiian organizations, and the interested public as appropriate (110(a)(2)(E)(ii)). (e) Where an agency is planning an action that could affect historic properties directly or indirectly (e.g., a land-use or construction project; a project that could change the way land or buildings are used or developed, or alter the social, cultural, or economic character of a community; and any program of assistance to or the issuance of a license for such activities), identification and evaluation should take place at the earliest possible stage of planning, and be coordinated with the earliest phases of any environmental review carried out under the National Environmental Policy Act and/or related authorities. Identification and evaluation efforts must be carried out in consultation with SHPOs, Tribal Preservation Officers, local governments, Indian tribes, Native Hawaiian organizations, and the interested public as appropriate (110(a)(2)(E)(ii). (f) Where identification and evaluation are carried out as a part of long-term planning, it may be appropriate to conduct background studies to develop a "predictive model" of historic property distributions that can be used in evaluating the likely effects of particular land management projects as the program proceeds. In some cases, depending on management needs for a particular project or activity, it may not be necessary to identify exhaustively every historic property or historic property type. It may also be appropriate and cost-effective to carry out the work in phases organized around particular property types or other such coherent units. For example, if historic architecture is of greater immediate concern than Native American traditional properties or archeological sites, a survey of architecture alone may be appropriate during a particular budget year, with archeological survey and ethnographic studies deferred until later. However, identification is not complete until all historic properties have been identified. Such work should be developed in consultation with SHPOs, Tribal Preservation Officers, local governments, Indian tribes and Native Hawaiian organizations as appropriate, and other parties that may have knowledge of, or interest in, such properties. (g) Identification of historic properties is an ongoing process. As time passes, events occur, or scholarly and public thinking about historical significance changes. Therefore, even when an area has been completely surveyed for historic properties of all types it may require re-investigation if many years have passed since the survey was completed. Such follow-up studies should be based upon previously obtained information, may focus upon filling information gaps, and should consider re-evaluation of properties based upon new information or changed historical understanding. (1) An agency that controls relatively few historic properties may find it realistic to nominate them all to the National Register, and then manage them accordingly. An agency with a great many historic properties will need to establish explicit priorities for identifying, nominating, and preserving properties. (2) Placement on the National Register may help justify budgeting funds for preservation or management of a historic property, so agencies may want to give priority to nominating properties as a first step in upgrading their maintenance and providing for their continued active service in carrying out agency programs. Further, development of National Register-level documentation provides information on the property that will assist the agency in its subsequent property management decisions. (3) An agency with an excellent internal program for identifying and preserving historic properties may find that other determinants, such as whether a property is to be managed and interpreted as a site of public interest, are more useful in establishing nomination priorities. (4) An agency that regularly transfers property out of Federal ownership may find it useful to give higher priority to nominating properties to be transferred, at the expense of other properties, in those cases where placement on the National Register may make preservation more likely once a property is no longer under Federal management. (b) Beyond serving the agency's own internal management needs, the National Register is the nation's formal repository of information on historic properties. To the extent that the National Register is incomplete, its usefulness as a planning and educational tool is diminished. Consequently, an agency should generally strive to nominate the historic properties under its jurisdiction or control to the National Register. (c) The Secretary of the Interior already has in place Standards and Guidelines for registration of historic properties (in The Secretary of the Interior's Standards and Guidelines for Archeology and Historic Preservation (48 FR 44726-44728) that details the process that should be followed in formally recognizing historic properties as significant. These Standards and Guidelines, along with the National Register Bulletin #16, Guidelines for Completing National Register Forms, provide guidance on completing National Register nomination forms. National Register regulations (36 CFR 60) set forth the nomination process. Standard 4. An agency gives historic properties full consideration when planning or considering approval of any action that might affect such properties. [Sec. 110(a)(2)(B),(C), and (E), and Sec. 402 (16 U.S.C. 470a-2)]. (a) Each Federal agency has an affirmative responsibility under section 110 of the National Historic Preservation Act to consider its activities' effects on our nation's historic properties. This responsibility extends to a systematic consideration of properties not under the jurisdiction or control of the agency, but potentially affected by agency actions. [Sec. 110(a)(2)(C)]. (b) Full consideration of historic properties includes assessment of the widest range of preservation alternatives early in program or project planning, coordinated to the extent feasible with other kinds of required planning and environmental review. (c) Full consideration of historic properties includes consideration of all kinds of effects on those properties: direct effects, indirect or secondary effects, and cumulative effects. Effects may be visual, audible, or atmospheric. Beyond the effects from physical alteration of the resource, itself, effects on historic properties may result from changes in such things as local or regional traffic patterns, land use, and living patterns. (d) Full consideration of historic properties includes an obligation to solicit and consider the views of others in planning and carrying out agency preservation activities (See Standard 5 on Consultation). [Sec. 110(a)(2)(D)]. (e) Full consideration of historic properties must include development of and adherence to agency procedures for section 106 review that are consistent with the regulations of the Advisory Council on Historic Preservation, and, as necessary, with certain provisions of the Native American Graves Protection and Repatriation Act. [Sec. 110(a)(2)(E)(i), (ii), and (iii)]. (f) The term "consistent with the regulations issued by the Council" as used in the NHPA means that an agency's procedures provide for the identification and evaluation of historic properties, the assessment of project and program effects on them, and consultation (specifically including consultation with the State Historic Preservation Officer, Tribal Preservation Officer or other Native American groups where appropriate, and other affected parties) to determine appropriate treatment or mitigation. Such procedures must either adhere to and expand upon the process set out in 36 CFR 800, or include modifications or alternatives to that process that have been reviewed and approved by the Council. Implementation of procedures consistent with the Council's regulations means that those procedures are carried out in a manner consistent with the Guidelines for Standard 1 above. (g) Full consideration of historic properties includes development of procedures to identify, discourage, and guard against "anticipatory demolition" of a historic property by applicants for Federal assistance or license. Agency procedures should include a system for early warning to applicants and potential applicants that anticipatory demolition of a historic property may result in the loss of Federal assistance, license or permit, or approval for a proposed undertaking. When an historic property is destroyed or irreparably harmed with the express purpose of circumventing or preordaining the outcome of section 106 review (e.g., demolition or removal of all or part of the property) prior to application for Federal funding, a Federal license, permit, or loan guarantee, the agency considering that application is required by section 110(k) to withhold the assistance sought, unless the agency, after consultation with the Council, determines and documents that "circumstances justify granting such assistance despite the adverse effect created or permitted by the applicant." [Sec. 110(k)]. (h) Agency preservation procedures for section 106 compliance must provide for the disposition of Native American, Alaskan, and Hawaiian human remains and cultural items from Federal or tribal land consistent with section 3(c) of the Native American Graves Protection and Repatriation Act of 1990 (NAGPRA). [Sec. 110(2)(E)(iii)]. The applicable NAGPRA sections on disposition [sections 3(c)(3) and 3(a) & (b)] vest "ownership and right of control" according to a hierarchy of relationships to the cultural items. See NAGPRA (25 U.S.C. 3002(c)) and the Department of Interior's regulations implementing this Act (43 CFR Part 10) for detailed information. (i) In those cases where consultation pursuant to section 106 does not produce a Memorandum of Agreement (MOA) governing how an agency will "take into account" the adverse effects of its undertaking on historic properties, section 110(l) requires that the final decision(s), reached after consideration of the Council's comments, be made by the agency head and not by any subordinate official, that it be explicit and informed, and that it be a part of the public record available for review. [Sec. 110(l)]. (j) National Historic Landmarks (NHL) are designated by the Secretary under the authority of the Historic Sites Act of 1935, which authorizes the Secretary to identify historic and archaeological sites, buildings, and objects which "possess exceptional value as commemorating or illustrating the history of the United States." Section 110(f) of the NHPA requires that Federal agencies exercise a higher standard of care when considering undertakings that may directly and adversely affect NHLs. The law requires that agencies, "to the maximum extent possible, undertake such planning and actions as may be necessary to minimize harm to such landmark." In those cases when an agency's undertaking directly and adversely affects an NHL, or when Federal permits, licenses, grants, and other programs and projects under its jurisdiction or carried out by a state or local government pursuant to a Federal delegation or approval so affect an NHL, the agency should consider all prudent and feasible alternatives to avoid an adverse effect on the NHL. [Sec. 110(a)(2)(B) and Sec. 110(f)]. (3) the effect a mitigation action would have on meeting the goals and objectives of the undertaking. (l) The Advisory Council's regulations implementing section 106 include specific provisions that also implement section 110(f). These regulations require that the Council must be included in any consultation following a determination by the Federal agency that a Federal or federally assisted undertaking will have an adverse effect on an NHL. The Council must notify the Secretary and may request the Secretary to provide a report to the Council detailing the significance of the affected NHL under section 213 of the NHPA and recommending measures to avoid, minimize or mitigate adverse effects. The Council shall report the outcome of the section 106 process to the Secretary and the head of the agency responsible for the undertaking. (m) In accordance with section 402 of the National Historic Preservation Act Amendments of 1980 (P.L. 96-515) and with Executive Order 12114 (issued January 4, 1979), the agency's preservation program should ensure that, when carrying out work in other countries, the agency will consider the effects of such actions on historic properties, including World Heritage Sites and properties that are eligible for inclusion in the host country's equivalent of the National Register. (n) The agency's preservation program should ensure that those agency officials, contractors, and other parties responsible for implementing section 402 of the NHPA (16 U.S.C. 470a-z) and Executive Order 12114 have access to personnel with appropriate levels and kinds of professional expertise in historic preservation to identify and assist in the management of such properties. (o) Efforts to identify and consider effects on historic properties in other countries should be carried out in consultation with the host country's historic preservation authorities, with affected communities and groups, and with relevant professional organizations. Standard 5. An agency consults with knowledgeable and concerned parties outside the agency about its historic preservation related activities. [Sections 110(a)(2)(D) and (E)(ii)]. (5) try to identify solutions that will leave all parties satisfied. (b) Consultation should include broad efforts to maintain ongoing communication with all those public and private entities that are interested in or affected by the agency's activities and should not be limited to the consideration of specific projects. (c) Consultation should be undertaken early in the planning stage of any Federal action that might affect historic properties. Although time limits may be necessary on specific transactions carried out in the course of consultation (e.g., the time allowed to respond to an inquiry), there should be no hard-and-fast time limit on consultation overall. Consultation on a specific undertaking should proceed until agreement is reached or until it becomes clear to the agency that agreement cannot be reached. (d) While specific consultation requirements and procedures will vary among agencies depending on their missions and programs, the nature of historic properties that might be affected, and other factors, consultation should always include all affected parties. Section 110(a)(2)(D) specifies that an agency's preservation-related activities be carried out in consultation with other Federal, State, and local agencies, Indian tribes, Native Hawaiian organizations, and the private sector. Section 110(a)(2)(E)(ii) requires an agency's procedures for compliance with section 106 to provide a process for the identification and evaluation of historic properties and the development and implementation of agreements, in consultation with SHPOs, local governments, Indian tribes, Native Hawaiian organizations, and the interested public, as appropriate. In addition to having a formal role under the Act, SHPOs and Tribal Preservation Officers can assist in identifying other parties with interests, as well as sources of information. (e) The agency needs to inform other agencies, organizations, and the public in a timely manner about its projects and programs, and about the possibility of impacts on historic resources of interest to them. However, the agency cannot force a group to express its views, or participate in the consultation. These groups also bear a responsibility, once they have been made aware that a Federal agency is interested in their views, to provide them in a suitable format and in a timely fashion. (3) impede the use of a traditional religious site by practitioners. (4) Section 110 requires that an agency's efforts to comply with section 106 must also be consistent with the requirements of section 3(c) of NAGPRA concerning the disposition of human remains and Native American cultural items from Federal and tribal lands. (h) Where those consulted do not routinely or customarily participate in traditional governmental means of consultation (e.g., through public meetings, exchanges of correspondence), reasonable efforts should be made to accommodate their cultural values and modes of communication. (b) Where it is no longer feasible to continue the traditional use of a historic structure or to maintain a significant archeological site or cultural landscape in undisturbed condition, the agency should consider an adaptive use that is compatible with the historic property. Adaptive use proposals must be reviewed in accordance with section 106 of the Act. The agency should consider as wide a range of adaptive use options as is feasible given its own management needs, cost factors, and the needs of preservation. A use that severely damages or destroys a historic property is not consistent with the section 110(a)(1) requirement to preserve historic properties in accordance with the professional standards established pursuant to section 101(g) of the Act. (c) Where modification of a historic property is required to allow it to meet contemporary needs and requirements, the agency should ensure that The Secretary of the Interior's Standards for the Treatment of Historic Properties and its accompanying guidelines are followed. Agencies are authorized and directed by section 110(a)(1) to carry out (or cause a lessee or concessioner to carry out) whatever preservation work is necessary (e.g., rehabilitation or documentation) in preparation for use. Proposals to modify historic properties must be reviewed in accordance with section 106 of the Act. When such modification requires disturbance of the earth, and it is not feasible to avoid and protect significant archeological resources, the archeological resources should be excavated and the data recovered. Excavations should focus on areas that will be disturbed during the project, but overall excavation efforts should be governed by a research design intended to recover significant data contained in the site. Doing so may require excavation of adjacent deposits of the site. All archeological work should conform to the Secretary's "Standards for Archeological Documentation." Under sections 101(a)(7)(A) and 110, agencies are also responsible for ensuring that prehistoric and historic material remains and associated records recovered in conjunction with projects and programs are deposited in repositories capable of proving adequate long-term curatorial services (see 36 CFR 79). Additional requirements for the management and ongoing care of archeological resources may be found in the Antiquities Act (16 U.S.C. 431-433) and the Archeological Resource Protection Act (16 U.S.C. 470aa-mm), and their attendant regulations. (d) Until and unless decisions are made to manage them in some other manner, historic properties, and properties not yet formally evaluated that may meet the criteria for inclusion in the National Register, should be maintained so that their preservation is ensured through adherence to The Secretary of the Interior's Standards for the Treatment of Historic Properties. (e) The relative cost of various management strategies for a historic structure, ranging from full restoration, to rehabilitation and adaptive use to demolition and replacement with a modern building, should be carefully and objectively considered, with reference to the pertinent requirements of Executive Order 11912, as amended, to the pertinent criteria established in OMB Circular A-94, and to the pertinent principles and methods set forth in the National Bureau of Standards Life-Cycle Costing Manual (NBS Handbook 135). (f) Applicable long and short-term costs should be carefully considered as part of any cost analysis. It is often the case that the short-term costs of preserving and rehabilitating a historic structure are balanced by long-term savings in maintenance or replacement; on the other hand, failure to perform needed cyclic maintenance may shorten the life of a building and decrease the value of investment in its rehabilitation. (g) Where it is not feasible to maintain a historic property, or to rehabilitate it for contemporary use, the agency may elect to modify it in ways that are inconsistent with the Secretary's "Standards for Rehabilitation," allow it to deteriorate, or demolish it. However, the decision to act or not act to preserve and maintain historic properties should be an explicit one, reached following appropriate consultation within the section 106 review process and in relation to other management needs. (h) Where the agency determines in accordance with section 106 that maintaining or rehabilitating a historic property for contemporary use in accordance with the Secretary's Standards is not feasible, the agency must provide for appropriate recording of the historic property in accordance with section 110(b) before it is altered, allowed to deteriorate, or demolished. Standard 7. An agency gives priority to the use of historic properties in carrying out agency missions. [Sec. 110(a)(1)]. (a) For the most part, use of historic properties involves the integration of those properties into the activities directly associated with the agency's mission. However, the agency should also be open to the possibility of other uses, such as the use of traditional sacred sites or plant gathering areas by Native Americans, or use of an archeological site as a public interpretive facility. (b) An agency with historic properties under its jurisdiction and control should maintain an inventory of those properties that notes the current use and condition of each property. The agency should provide for regular inspection of the properties and an adequate budget for their appropriate maintenance. (c) Section 110(a)(1) applies not only to historic properties under an agency's ownership or control, but to other historic properties available to an agency. An agency that requires the use of non-federal property is required to give priority to the use of historic properties. In such cases the agency should notify potential private-sector offerors of this priority and, if feasible, offer incentives to help ensure that historic properties will be offered. (d) Where an agency carries out its mission through the award of grant funds for specific activities, and where those activities will inevitably affect historic properties, the agency should, to the extent feasible, design its grants programs so as to encourage grantees to retain and make appropriate use of historic properties in carrying out grant-funded activities. (e) As provided for in section 111 of the Act, the agency should consider leases, exchanges, and management agreements with other parties as means of providing for the continuing or adaptive use of historic properties. (f) Surplus properties that are listed in or have been formally determined eligible for the National Register can be transferred to State, tribal, and local governments for historic preservation purposes through the Historic Surplus Property Program. Additionally, properties or portions of surplus properties may be made available to States or local agencies at no cost for parks and recreation through application to the Federal Lands-to-Parks Program. Contact the NPS' Heritage Preservation Services Division or its Recreation Resources Assistance Division in Washington, D.C., for more information on these programs. (g) The use of historic properties is not mandated where it can be demonstrated to be economically infeasible, or where historic properties will not serve the agency's requirements. The agency's responsibility is to balance the needs of the agency mission, the public interest in protecting historic properties, the costs of preservation, and other relevant public interest factors in making such decisions. (a) The Act or NHPA means the National Historic Preservation Act of 1966, as amended, 16 U.S.C. 470 et seq. (b) Advisory Council or Council means the agency, fully titled the Advisory Council on Historic Preservation, established pursuant to section 201 of Title II of the NHPA, that is to be afforded a reasonable opportunity under sections 106 and 110(f) of the NHPA to comment with regard to proposed undertakings, as defined in section 301(7) of the NHPA; that reviews Federal programs pursuant to section 202(a)(6) of the NHPA; and with whose regulations outlining the procedures for complying with the requirements of section 106 of the NHPA ("Protection of Historic Properties," found at 36 CFR Part 800) in accordance with section 110(a)(2)(E)(i), other Federal agencies procedures for compliance with section 106 must be consistent. (c) Agency Head means the individual Departmental Secretary, Executive Director or Administrator of an agency, as defined in the Council's regulations (36 CFR Part 800). (d) Cultural items is defined in the Native American Graves Protection and Repatriation Act of 1990 (NAGPRA, 25 U.S.C 3002(c)). It includes human remains; associated and unassociated funerary objects (consisting of items intentionally placed with the body in a grave, including those not in possession of a Federal agency); sacred objects, ceremonial objects important to the practice of Native American traditional religions; and objects of cultural patrimony, those items having historical, traditional, or cultural importance to Indian tribes themselves. For a complete definition see section 2(3)(A)-(D) of NAGPRA, and the Department of Interior's regulations implementing the provisions of the Act at 43 CFR Part 10. (e) Historic property or historic resource is defined at section 301(5) of the NHPA and means any prehistoric or historic district, site, building, structure, landscape or object included in, or eligible for inclusion in the National Register, including artifacts, records, and material remains related to such a property or resource. Section 101(d)(6)(A) of the National Historic Preservation Act provides that "properties of traditional religious and cultural importance to an Indian tribe or Native Hawaiian organization may be determined to be eligible for inclusion on the National Register." (f) Historic resource (see definition for "historic property"). (g) Indian tribe or tribe is defined at section 301(4) of the NHPA and means an Indian tribe, band, nation, or other organized group or community, including a Native village, Regional Corporation or Village Corporation, as those terms are defined in section 3 of the Alaska Native Claims Settlement Act (43 U.S.C. 1602), which is recognized as eligible for the special programs and services provided by the United States to Indians because of their status as Indians. The Secretary of the Interior is responsible for determining an Indian tribe's eligibility for those special programs and services. (h) Memorandum of Agreement means the document that records the terms and conditions which have been agreed upon to resolve the adverse effects of an undertaking upon historic properties. (i) National Register is defined at section 301(6) of the NHPA and means the list of districts, sites, buildings, structures and objects significant in American history, architecture, archeology, engineering, and culture established under section 101 of the NHPA and maintained by the Secretary of the Interior and fully titled the "National Register of Historic Places." (j) Native Hawaiian is defined in the NHPA at section 301(17) and means any individual who is a descendant of the aboriginal people who, prior to 1778, occupied and exercised sovereignty in the area that now constitutes the State of Hawaii. (3) has demonstrated expertise in aspects of historic preservation that are culturally significant to Native Hawaiians. The term includes, but is not limited to, the Office of Hawaiian Affairs of the State of Hawaii and Hui Malama I Na Kapuna O Hawai'i Nei, an organization incorporated under the laws of the State of Hawaii. (l) Preservation or historic preservation as defined in the NHPA at section 301(8) includes identification, evaluation, recordation, documentation, curation, acquisition, protection, management, rehabilitation, restoration, stabilization, maintenance, research, interpretation, conservation, and education and training regarding the foregoing activities or any combination of the foregoing activities. (m) Preservation Officer means the individual in the agency responsible for managing the agency's historic preservation program and coordinating all preservation activities. All federal agencies are required to appoint a Preservation Officer under section 110(c) of the National Historic Preservation Act (unless specifically exempted under section 214 of the NHPA). The Preservation Officer and the Agency Head are not necessarily one and the same individual. (n) Secretary is defined at section 301(11) of the NHPA and means the Secretary of the Interior acting through the Director of the National Park Service, except where otherwise specified. (o) Secretary's Standards means the Secretary of the Interior's Standards and Guidelines for Archeology and Historic Preservation (available from the National Park Service), the project and program standards and guidelines for implementing the NHPA. They are technical guidance concerning archeological and historic preservation activities and methods. The complete Secretary's Standards currently address each of the following activities: Preservation Planning, Identification, Evaluation, Registration, Historical Documentation, Architectural and Engineering Documentation, Archeological Documentation, Treatment of Historic Properties (including Rehabilitation), and Professional Qualifications. (p) State Historic Preservation Officer (SHPO) means the official appointed or designated pursuant to section 101(b)(1) of the NHPA to administer the State historic preservation program or a representative designated to act for the SHPO. (q) Traditional Cultural Property is defined as a property that is associated with cultural practices or beliefs of a living community that (1) are rooted in that community's history, and (2) are important in maintaining the continuing cultural identity of the community. Readers should refer to National Register Bulletin 38: Guidelines for Evaluating and Documenting Traditional Cultural Properties (available from the National Park Service) for more information. (r) Tribal Preservation Officer or Tribal Historic Preservation Officer means the official appointed or designated by the Tribe to carry out the historic preservation program responsibilities that the Tribe has assumed pursuant to section 101(d) of the NHPA. (2) all dependent Indian communities. (4) those subject to State or local regulation administered pursuant to a delegation or approval by a Federal agency. (1) The heads of all Federal agencies shall assume responsibility for the preservation of historic properties which are owned or controlled by such agency. Prior to acquiring, constructing, or leasing buildings for purposes of carrying out agency responsibilities, each Federal agency shall use, to the maximum extent feasible, historic properties available to the agency. Each agency shall undertake, consistent with the preservation of such properties and the mission of the agency and the professional standards established pursuant to section 101(g), any preservation, as may be necessary to carry out this section. [Standards 1, 6 and 7]. (iii) provide for the disposition of Native American cultural items from Federal or tribal land in a manner consistent with section 3(c) of the Native American Graves Protection and Repatriation Act (25 U.S.C. 3002(c)) [Standard 4]. (b) Each Federal agency shall initiate measures to assure that where, as a result of Federal action or assistance carried out by such agency, a historic property is to be substantially altered or demolished, timely steps are taken to make or have made appropriate records, and that such records then be deposited, in accordance with section 101(a), in the Library of Congress or with such other appropriate agency as may be designated by the Secretary, for future use and reference [Standard 6]. (c) The head of each Federal agency shall, unless exempted under section 214, designate a qualified official to be known as the agency's "preservation officer" who shall be responsible for coordinating that agency's activities under this Act. Each Preservation Officer may, in order to be considered qualified, satisfactorily complete an appropriate training program established by the Secretary under section 101(h) [Standard 1]. (d) Consistent with the agency's mission and mandates, all Federal agencies shall carry out agency programs and projects (including those under which any federal assistance is provided or any Federal license, permit, or other approval is required) in accordance with the purposes of this Act and, give consideration to programs and projects which will further the purposes of this Act [Standard 1]. (e) The Secretary shall review and approve the plans of transferees of surplus federally owned historic properties not later than ninety days after his receipt of such plans to ensure that the prehistorical, historical, architectural, or culturally significant values will be preserved or enhanced [Standard 7]. (f) Prior to the approval of any Federal undertaking which may directly and adversely affect any National Historic Landmark, the head of the responsible Federal agency shall, to the maximum extent possible, undertake such planning and actions as may be necessary to minimize harm to such landmark, and shall afford the Advisory Council on Historic Preservation a reasonable opportunity to comment on the undertaking [Standard 4]. (g) Each Federal agency may include the costs of preservation activities of such agency under this Act as eligible project costs in all undertakings of such agency or assisted by such agency. The eligible project costs may also include amounts paid by a Federal agency to any State to be used in carrying out such preservation responsibilities of the Federal agency under this Act, and reasonable costs may be charged to Federal licensees and permittees as a condition to the issuance of such license or permit [Standard 1]. (h) The Secretary shall establish an annual preservation awards program under which he may make monetary awards in amounts not to exceed $1,000 and provide citations for special achievement to officers and employees of Federal, State, and certified local governments in recognition of their outstanding contributions to the preservation of historic resources. Such program may include the issuance of annual awards by the president of the United States to any citizen of the United States recommended for such award by the Secretary. (i) Nothing in this Act shall be construed to require the preparation of an environmental impact statement where such statement would not otherwise be required under the National Environmental Policy Act of 1969, and nothing in this Act shall be construed to provide any exemption from any requirement respecting the preparation of such a statement under such Act. (j) The Secretary shall promulgate regulations under which the requirements of this section may be waived in whole or in part in the event of a major natural disaster or an imminent threat to the national security. (k) Each Federal agency shall ensure that the agency will not grant a loan, loan guarantee, permit, license, or other assistance to an applicant who, with intent to avoid the requirements of section 106, has intentionally significantly adversely affected a historic property to which the grant would relate, or having the legal power to prevent it, allowed such significant adverse effect to occur, unless the agency, after consultation with the Council, determines that circumstances justify granting such assistance despite the adverse effect created or permitted by the applicant [Standard 4]. (l) With respect to any undertaking subject to section 106 which adversely affects any property included in or eligible for inclusion in the National Register, and for which a Federal agency has not entered into an agreement with the Council, the head of such agency shall document any decision made pursuant to section 106. The head of such agency may not delegate his or her responsibilities pursuant to such section. Where a section 106 memorandum of agreement has been executed with respect to an undertaking, such memorandum shall govern the undertaking and all of its parts [Standard 4]. (7) although the major burdens of historic preservation have been borne and major efforts initiated by private agencies and individuals, and both should continue to play a vital role, it is nevertheless necessary and appropriate for the Federal Government to accelerate its historic preservation programs and activities, to give maximum encouragement to agencies and individuals undertaking preservation by private means, and to assist State and local governments and the National Trust for Historic Preservation in the United States to expand and accelerate their historic preservation programs and activities. (6) assist State and local governments, Indian tribes and Native Hawaiian organizations and the National Trust for Historic Preservation in the United States to expand and accelerate their historic preservation programs and activities.